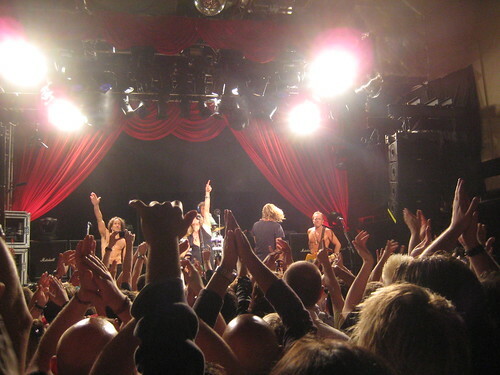 Saw Def Leppard at the tiny Islington Academy. 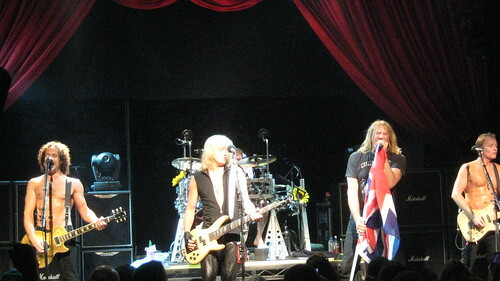 Excellent use of a Union Jack and only a couple of songs in. What a cool gig! Short and sweet and they totally recognised that people wanted to hear the hits whilst still treating us to some new stuff. They rocked pretty hard for a bunch of 50 year olds! Great fun!